How to Get AAC 5.1 Audio to Work in Plex Media Server? "I have a series of mp4s with AAC 5.1. When I try to play them on the Plex app on my Fire tv stick (through my crappy stereo speakers) I only get what I presume to be the back two channels with no dialogue. It plays fine on other devices that arent capable of surround sound output (my tablet, etc), and all other audio types give me no trouble at all." It is well known that AAC is a audio coding standard for lossy digital audio compression, it has better sound quality than MP3 at the similar bit rates. 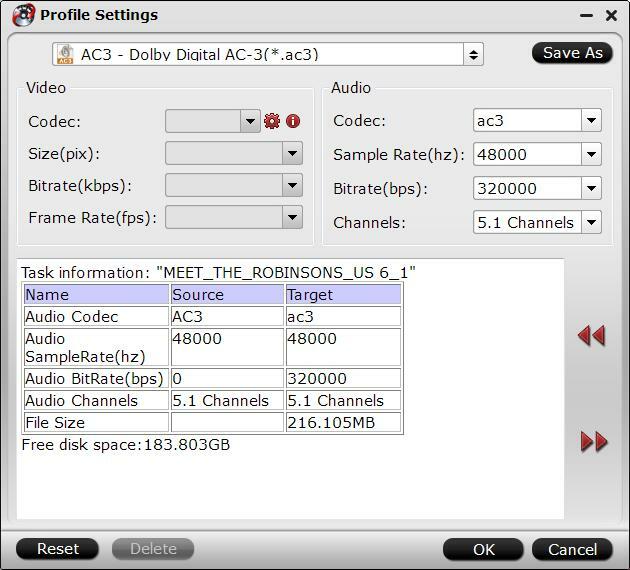 While AC3 is the synonym of Dobly Digital audio codec, which supports for 5.1 channel audio. If there is a 5.1 surround soundtrack that is in AAC format and your sound receiver can't decode AAC, it will mix it back up as a stereo soundtrack (using Dolby ProLogic) and outputs that. Either way, you're hearing Dolby ProLogic, not Dolby Digital. Therefore, to get 5.1 surround sound from AAC audio, you should transcode it to AC3 format, which has perfect compatibility for many Dolby Digital equipment. 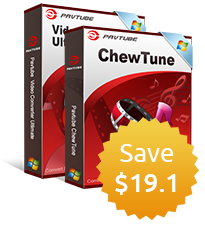 There's a solution in hand called Pavtube Video Converter Ultimate for Windows/Mac (best Video Converter Ultimate Review) which can do you a great favor to transcode 5.1 aac audio on HD content or Blu-ray/DVD disc to Plex Media Server compatible format AC3 audio codec with Dolby 5.1 surround sound well preserved. If you are going to stream the 5.1 aac audio to Apple TV via Plex, the program also facilitates you to directly output Apple TV preset profile format with AC3 5.1 pass-through and AAC Stereo, so that you can achieve a better audio enjoyment experience on Apple TV (set up Apple TV with 5.1 surround sound). How to Get AAC 5.1 Audio to Work with Plex Media Server? 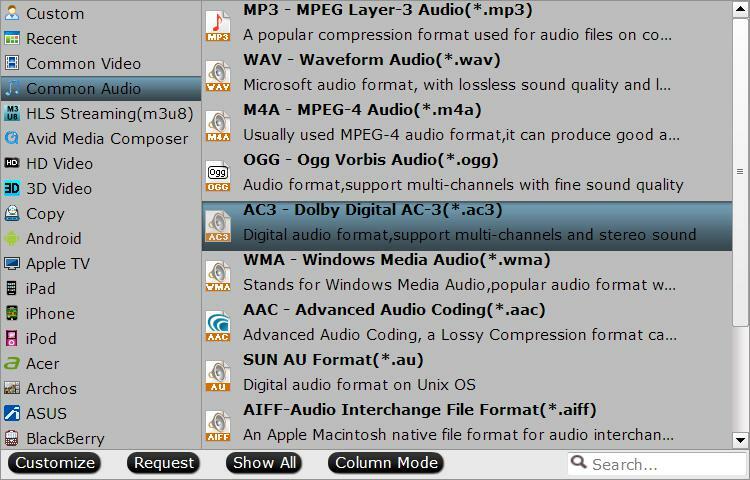 Step 1: Add files with aac 5.1 audio to the program. 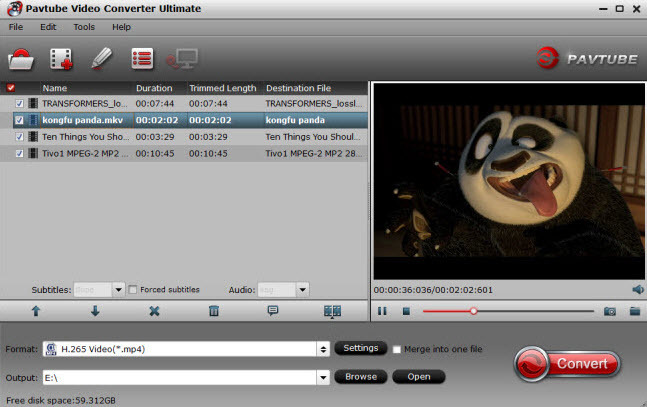 Run the program on your computer click "File" to load video sources (e.g. downloaded HD movies, DVDs and Blu-ray movies) with 6 channel audio. Step 2: Target AC3 Dolby Digital as output format. Click the format bar to follow "Common Audio" ＞ "AC3 - Dolby Digital AC-3 (*.ac3) as your desire output file format. 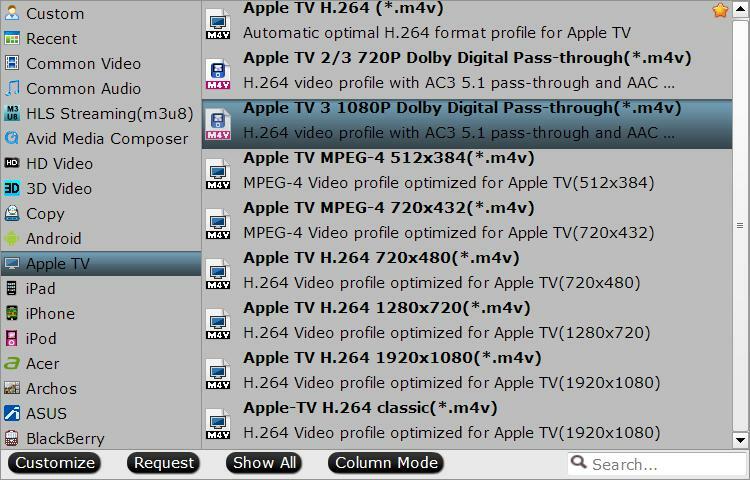 Tips: For Mac users, if you desire to stream the 5.1 aac audio to Apple TV via Plex, just following "Apple TV" > "Apple TV 3 1080P Dolby Digital Pass-through (*.m4v)" to output. Step 3: Keep/Adjust 5.1 surround sound. To output AC3 with 5.1 surround sound, open " window by clicking "Setting" button on the main interface, in "Audio" panel, from "Channels" drop-dow list, select "5.1 Channels" to output. Go back to the main interface to realize conversion from 5.1 AAC to AC 3 conversion with 5.1 audio preserved.